A recently recovered endangered species, the island night lizard, has been added to the list of reptile species at the San Diego Zoo. Five night lizards arrived at the Zoo on July 25, 2014, brought by the U.S. Navy to be available for guest viewing. The species was removed from the endangered species list by the U.S. Fish and Wildlife Service on May 1, 2014. 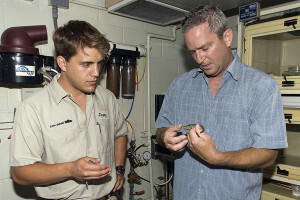 “It is one of the few species that visitors to the Zoo will see that was recovered under the Endangered Species Act, and the only one estimated to occur in the millions on U.S. Navy Lands,” said Dr. Robert Lovich, senior natural resource specialist at Naval Facilities Engineering Command (NAVFAC) SW, Desert Integrated Product Team. 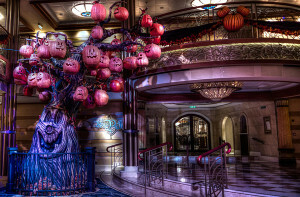 To celebrate 23 issues of its collectible publication, Disney twenty-three, D23: The Official Disney Fan Club circles the planet to experience Disney’s worlds from Europe, South America, and Asia to the fantastical fictional realms of San Fransokyo and Once Upon a Time’s Enchanted Forest. 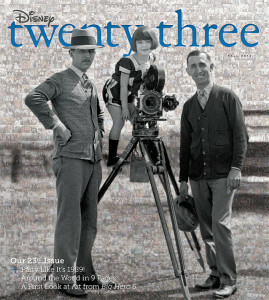 The cover of the issue features a spectacular photo mosaic with a classic image of Walt and Roy O. Disney with Margie Gay of the Alice Comedies shorts series, courtesy of images of D23 Members from around the globe. Disney twenty-three’s Fall issue, available exclusively to Gold Members of D23, starts the journey with a visit to France for an in-depth look at how the creative team at Walt Disney Imagineering brought the spectacular world of Ratatouille to life at Disneyland Paris for Ratatouille: The Adventure. Then it’s off to Japan where Treasures of the Walt Disney Archives is touring the country with a dazzling exhibit featuring more than 70 props, costumes, images, and artifacts. In “It’s A Disney World After All,” D23 goes on a non-stop tour from Latin America to the Middle East to look at Disney’s indelible mark on the rich cultures of many nations. And, in true Disney fashion, we visit the stunning and sleek fictional city of San Fransokyo for a look at spectacular concept art that inspired the upcoming Walt Disney Feature Animation release Big Hero 6. 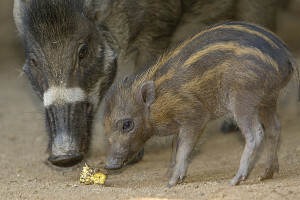 Two energetic, four-week-old Visayan warty pigs showed off their running, jumping and climbing skills earlier today at the San Diego Zoo. The piglets, born on June 26, are still nursing from their mother but are beginning to eat solid foods of fruits and vegetables and particularly seem to enjoy lettuce. Keepers describe the piglets, whose genders are yet to be determined, as extremely curious and playful. 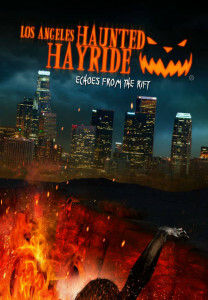 Located in Griffith Park’s Old Zoo area, the Los Angeles Haunted Hayride will become a portal to the planet’s deepest and most legendary rift, The Underworld. Larger than life portrayals of the seven deadly sins and their consequences will become “echoes from the rift” and come out to play in one of the most paranormally active sites in all of California. Celebrating its sixth season, Los Angeles Haunted Hayride boasts NEW experiences including two Apocalyptic-themed mazes (“House of the Horsemen” and “Seven Sins Sideshow”), a 40-foot long Leviathan, an interactive theatre production (“Theatre Macabre”), the world-renowned Street Drum Corps (“Blood Drums”), and the FIRST sway polers to the United States.